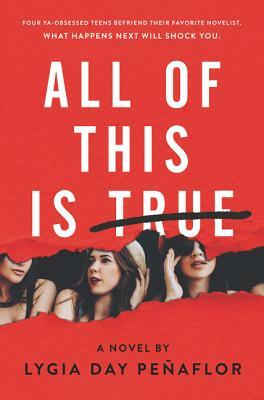 In this genre-defying page-turner from Lygia Day Peñaflor, four teens befriend their favorite YA novelist, only to find their deepest, darkest secrets in the pages of her next book—with devastating consequences. Lygia Day Peñaflor is the author of Unscripted Joss Byrd, which was inspired by her work teaching child stars on movie sets, and All of This Is True. Lygia lives with her husband on Long Island, where she rides horses and watches reruns of everything. You can visit her online at www.lygiadaypenaflor.com.